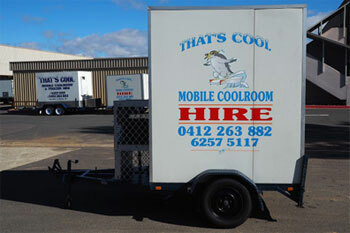 That's Cool Mobile Coolroom Hire is a family operated business, operating in Canberra / Queanbeyan since 1994. 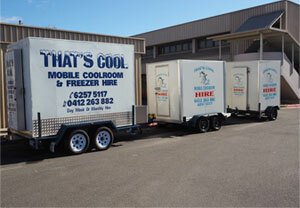 Canberra’s largest fleet of mobile coolrooms. 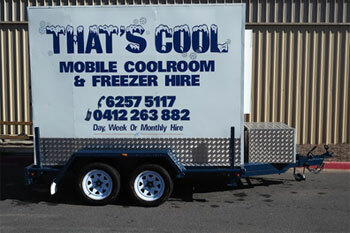 We do not allow customers to tow our coolrooms. 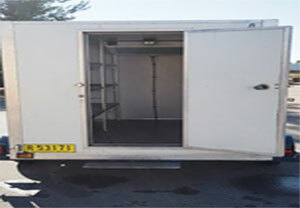 Part of our service is we deliver the coolroom to site, set up, connect, balance and adjust temperature (if required). We also provide Catering services. Please contact us for more information. 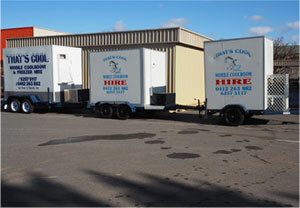 Thank you again this year for the supply of a mobile coolroom, our balloon festival event would not be possible without the use of your coolroom. As per the last 10 years you turn up on time, coolroom always clean and you spend the time to get it in the right position and set it up for us. Look forward to seeing you again next year. Wow what service, I cannot thank you enough for the excellent service you provided. 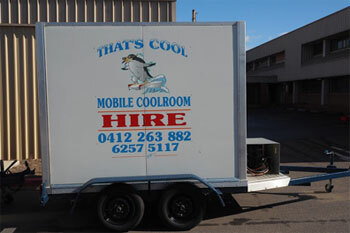 Our coolroom broke down and you had a mobile coolroom delivered to us within 2 hours, no hassle, no fuss. Thanks again for making our event a success again this year.